I styled this skirt last week in a more professional way, and today I wanted to share how I’d give it an edge to wear at night. A moto jacket is such an easy way to transition from day to night. They’re chic but fun and give an otherwise polished look a sassy element. I love my blush pink jacket [previously seen here + here, also here] and think it pairs perfectly with the leopard clutch. Against the ladylike lace skirt, these edgy details give it a whole new feel. 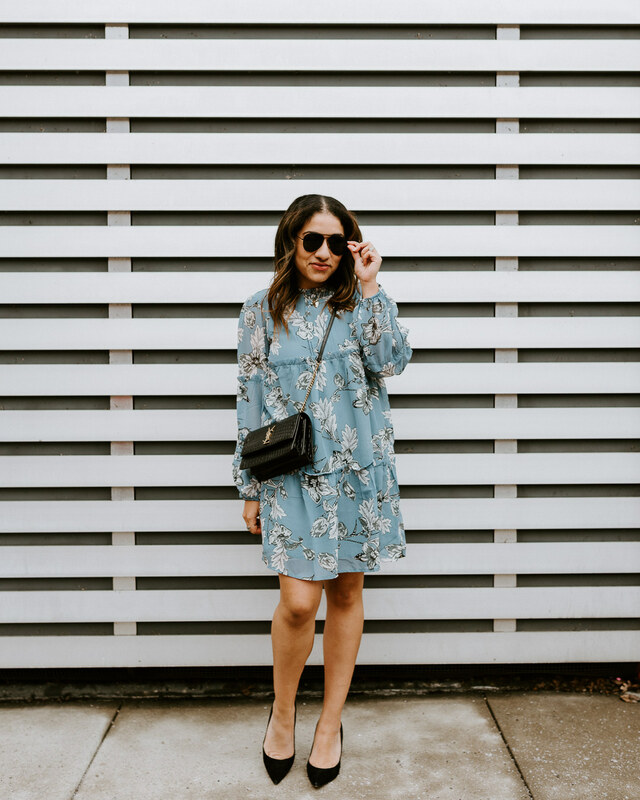 Next Post One Dress, Four Ways + Sale Alert! Love this look! The pink, the lace, and especially the unexpected but fabulous leopard clutch!! yaaas, that jacket is sweet, yet edgy at the same time. I love how versatile you could make it! We're definitely twinning today! Love your skirt! Totally! I probably wear it way too much! Love this look! You can never go wrong with blush or a moto jacket and together they are perfection! So love that lace skirt and blush pink jacket combo! And, you can't go wrong with adding the touch of leopard. You look gorgeous! Great spring outfit styling! Love how you've styled this jacket two different ways. Beautiful. Thank you!! I can't resist a good print mix! I love the skirt, especially the bottom see through piece without a backing. I have a few tops I could easily piece together with this skirt. OMG this skirt is perfection! You look incredible! You are absolutely killing it in that outfit girlie! The lace overlay is my favorite! LOVE this jacket, I have the same one and I wore it during some of the photos in my wedding to keep warm! From one Cincy-area blogger to another, I love your blog! aw thanks! great price too! That skirt is so beautiful and I love it paired with the pink motto jacket!! You look gorgeous! I seriously just saw a skirt like this and loved it! The different length of the layers make it a great accent piece, and I always love a good black and white look. LOVE this look – I liked it on Insta too! That skirt is gorgeous! I love how you added the pink for a touch of softness! I've been so obsessed with lace lately, so I'll say it…I'm obsessed with this outfit! That skirt is just beautiful and that clutch! Need! Thank you!! yes, you do!